The Tarves Youth project started out as a millennium project ( a bit early) and was called Zone 98. It changed with each successive year of young people who came through its doors. Now called, The Hut. 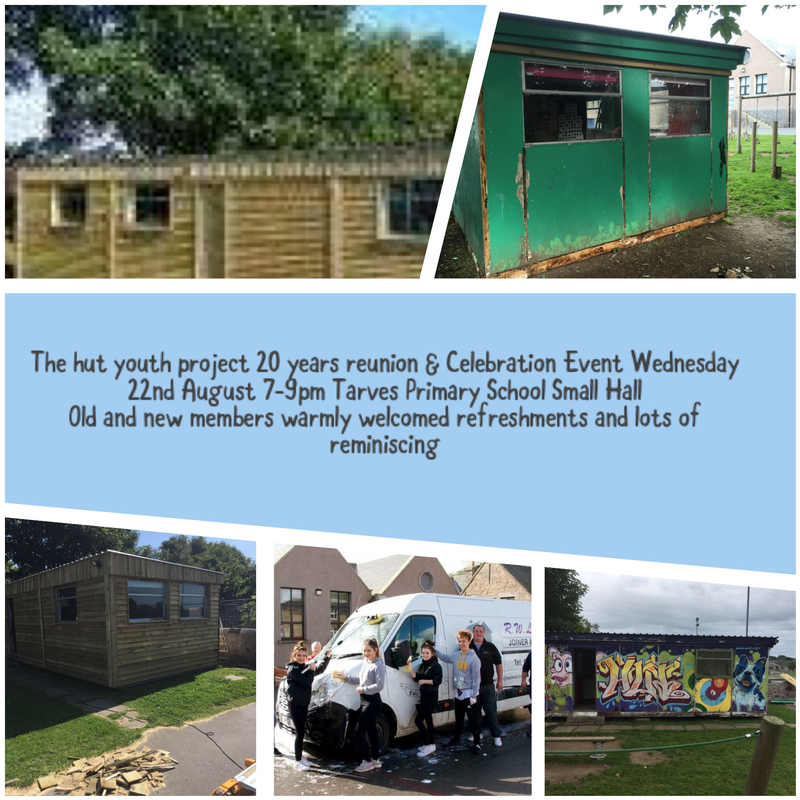 If you were involved in any way as a young person at the time or a helper/worker, over the last 20 years, come and help us celebrate the work of so many years. Remember the awards and the young people many of whom have grown to have children of their own. 22nd August at Tarves primary School.